The customer-based online reputation is an invaluable asset for the success of firms online. Reputation increases the customer’s perceptions of the product quality, encourages customers to share a positive WOM (Hong and Yang 2009), and retain those customers (Fombrun and van Riel 1997). The customer-based online reputation is defined as the assessment done by the online customers of a company based on their general online experience with it (Youness and Valette-Florence 2016). This paper investigates the effects of customer-based online reputation on two important customer behavior outcomes that are word of mouth and willingness to pay a premium. Brand relationship quality (BRQ), used as a mediator, indicated the strength and depth of the relationship between brands and consumers. It reflects a set of factors that serve in creating and maintaining a long-standing relationship between the two parties. Based on the work of Fournier (1998), brand relationship quality has six facets, i.e., love and passion, self-connection, commitment, interdependence, intimacy, and brand partner quality. The research was conducted in France using an online survey with 306 customers. For statistical reasons, we decided to choose ten of the top French websites which are Amazon, Cdiscount, Fnac, eBay, Leroy Merlin, PriceMinister, Vente Privée, Boulanger, Darty, and La Redoute. Three-hundred six customers filled out the questionnaire. A SEM-PLS analysis was relied on in order to test the causal research model with consistent reliability measures, all path coefficients being estimated, thanks to a systematic bootstrapped procedure with 5000 replications. The findings of this research contribute to the literature on online brand management by showing the impact of customer-based online reputation on WTP a premium price and WOM and how these relationships are mediated by cold and hot brand relationship quality. From a managerial perspective, the findings invite companies to monitor and manage their customer-based online reputation. More specifically, online reputation has positive effects on both cold and hot BRQ, higher on cold than hot BRQ. Contrary to Nyffenegger et al. (2015) results, only hot BRQ has a significant impact on WTP, a result that probably needs further investigations. Another point worth to be investigated is to distinguish the effects of the online reputation’s two facets (cognitive and affective) on hot and cold BRQ. 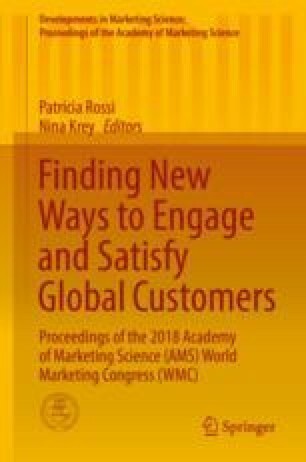 Finally, further studies should probably try to deepen the definition and understanding of customer-based online reputation dimensions as well as its relationships with other related reputation constructs (for instance, the general company’s reputation).